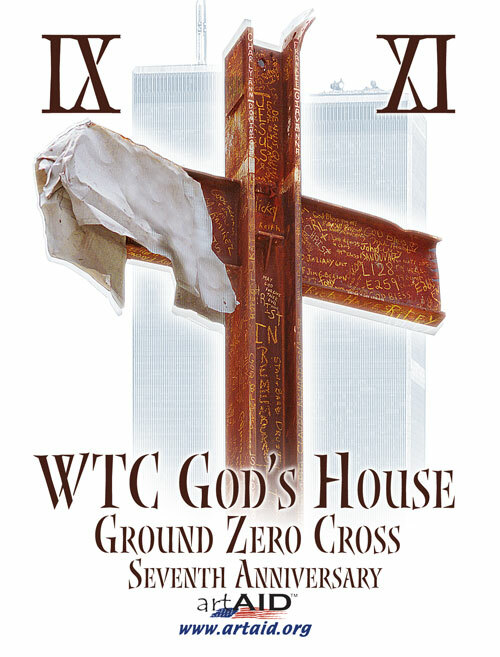 WTC God's House Ground Zero Cross on the 7th Anniversary. The 7th Anniversary of September 11th at Ground Zero. 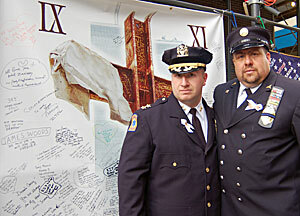 GROUND ZERO, NY -- SEPTEMBER 11, 2008: Once again, ArtAID continues a tradition of healing and remembrance at Ground Zero during the 7th Anniversary ceremony. 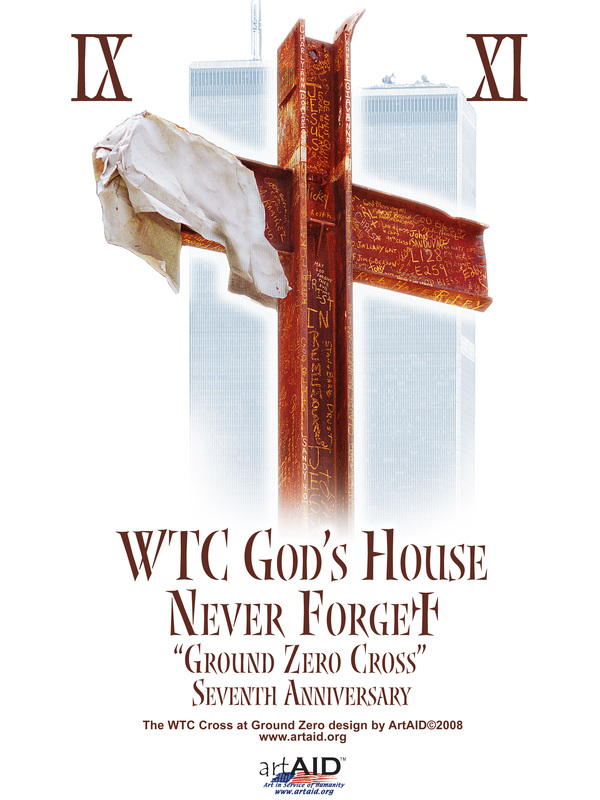 Beautiful large scale colorful banners brightnened this somber day, and a commemorative memorial poster featuring the "Cross of Ground Zero" in an interactive banner and remembrance cards handed out to family members. Members of Unifored Services stand in front of Cross banner. 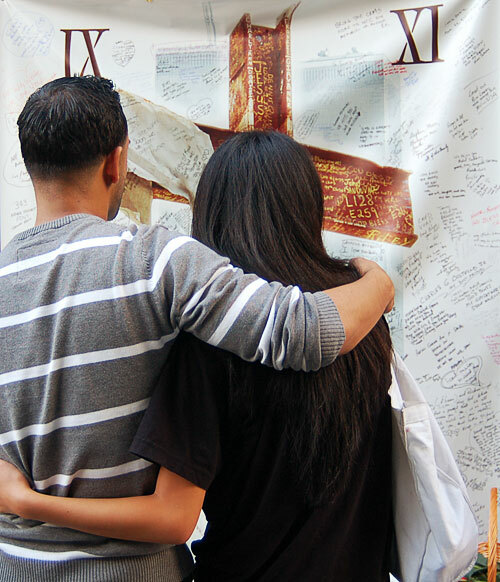 See images of the WTC Cross interactive banner installed for the 7th Anniversary at Ground Zero. 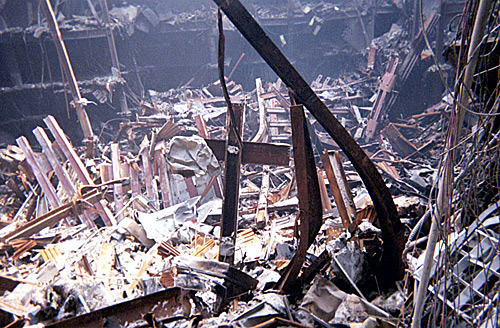 Steel beams reveal in the still smoldering rubble appeared as a miraculous symbol to the recovery workers at the WTC site. 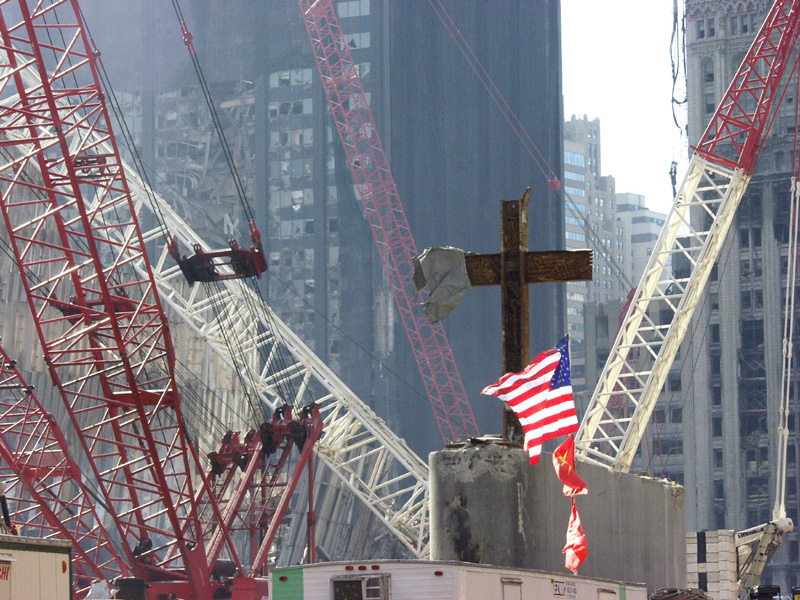 Placed on a temporary concrete base overlooking the site, the Cross of Ground Zero became a powerful symbol of hope.